Aqua Narrowboat Furnishing specialises in boat blinds for narrowboats, canal boats, also suitable for caravans and cabins. All of these spaces have a number of things in common: space is compact and walls are never straight! We are experts in designing for these unique spaces and therefore have developed a range of prints that enhance space, with designed features that enable blinds to sit flush. What is a Straight Edge Roman Blind? A roman blind is composed of a single rectangular piece of flat fabric, which will form a series of horizontal folds when drawn up. This classic blind style is suited to both traditional and contemporary tastes and suits a wide range of fabric styles. Roman blinds are a great choice when you are looking to save space whilst remaining stylish. Aqua Narrowboats Furnishings have added roman blind design features that will enhance your compact space. We use small and colourful prints, which will add depth to your small space and allow you to choose key colours for cushions and other accessories. We also add press studs at the bottom of blinds enabling the blind to sit flush with the wall and look good too; we reduce the fold to 10cm so when the blind is drawn up the horizontal folds are compact, allowing as much light into your window as possible and making the space seem bigger; we recommend a shorter draw cable with a safety hook for a smarter look. We also offer a fitting service in some regions across the Midlands, giving you peace of mind that your interior design project will look stunning. Click here to browse our shop. Look at any other batons or wood features that will obstruct the blinds. Many boats have these above or below the window frames. if it is above you may also need a plinth to attach your boat blind to. Many boats have a baton below the window frame which is less of a problem. Press studs will always be position approx. 6cm from the bottom of the blind as there is often a baton obstructing the blind fitting flush and the bottom bar of the blind is not flexible, positioning the studs above the blind bottom bar allows some flexibility and will give a longer life to your press studs. Fitting instructions: Supplied in packaging or you can download instructions below. You may choose between Standard Premier Twill, Thermal and Blackout lining (cream or white). You may choose between brass or chrome, and you may choose if you want this on the right hand side or left hand side. You may choose to have press studs added to your boat blinds, these are placed approx. 6cm from the bottom of the blind, one on either side, please think carefully where you want these to fall in order to press stud you blinds to the wall and enable them to be as flush as possible. Fabric blinds are always cut on the same design at the top; if you order multiple blinds of equal size in the same fabric the position of the design will be the same throughout. 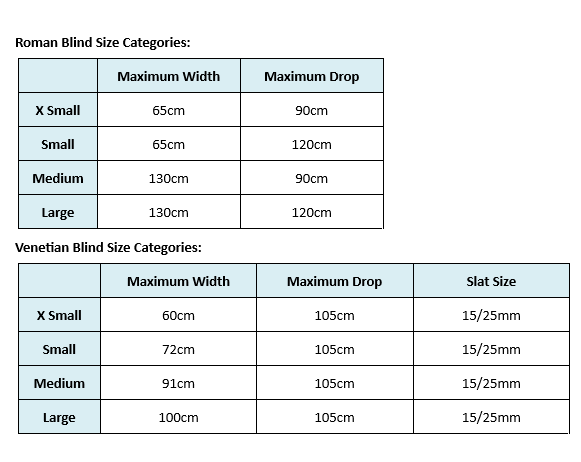 If you order blinds of different sizes the design will differ at the bottom but will match at the top. However, we cannot match the design of the fabric on the edges of adjacent blinds. This is due to part of the design being lost in the blind facings, and as the blinds are made with the centre of the fabric design in the middle of the blind, blinds with different widths will have different parts of the design at the edges. If you would like several blinds it is best to place the order for all blinds at the same time as the fabric used will be from the same batch. There is a slight variation in batches and ordering at different times could mean that a different batch of fabric is used and a slight variation may occur. Fabric may shrink or relax due to variations in atmospheric conditions such as humidity and temperature over time. It is important to control the environment surrounding the blinds to prevent movement. We recommend your blinds do not hang too close to radiators or areas of excessive moisture from condensation or excessive heat and dryness. Condensation can also result in the blind discolouring and eventually the fabric deteriorating because of this. Full instructions on how to hang your boat blinds will be included with your delivery or you can download instructions from our website (see Fitting Instructions above). Please take great care with your roman blinds. All our roman blinds are dry clean only. Please ensure you keep your blinds safe by using the P clip provided so the cable is tied back and out of harms way. Please take care of the blind around the press stud area to gently secure in place and gently pop out for winding up. Whilst our fabric collection has been chosen for it’s durability, it will still be subject to wear, tear and damage if tugged and pulled too harshly.